"Home is the structure you build when nowhere else will have you," writes Ann Tweedy in this gutsy, no-nonsense collection of poems built on a precarious and often tender journey through homes no longer available to return to. The result is neither sadness nor nostalgia; it is hard, clean narrative of self-preservation and survival, fitted with unexpected joy. I feel such kinship with these poems, their testament to the strength and determination of women and men who struggle to build life anew, and to find home and happiness in a world of travail. What a blessed space this book is: a home for the wayward soul. Ann Tweedy's first book is a brave and honest examination of liminality. In delicate lyrics she confesses to trespass, asking readers to question the boundaries between acts and identity, sexuality and family. The Body's Alphabet documents the poet's courage, living openly as a bisexual feminist. Although childhood logic taught her that "home is the structure / you build when nowhere else will have you," these beautiful poems knit and nest safe haven for a life spent gathering freedom. 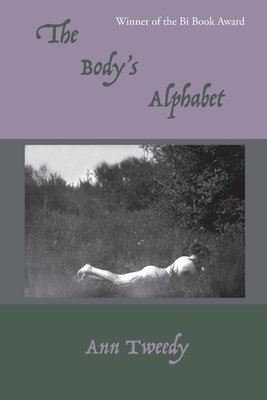 What made me sit down and read The Body's Alphabet, cover to cover, in a single evening? Perhaps it is the way that I know, in Ann Tweedy's poems, I will find the unvarnished truth, and a voice with "the drowsed freedom to talk about anything." And I know I will find that truth compassionately rendered, details delicately arranged like the flowers of the "dutiful and stubborn" forsythia of which she writes. This is a book about finding homes for ourselves-homes for our adult selves, even as complex memories of our childhood homes still live inside us; homes for our bodies; homes in the natural world. Tweedy's vision is both hopeful and wise.